The story of how this family with celiac disease created a Gluten Free Oat Manufacturing company is truly amazing. It gives hope that high school projects really can turn into something bigger than anyone could fathom. You can do anything you want if you put your mind to it. 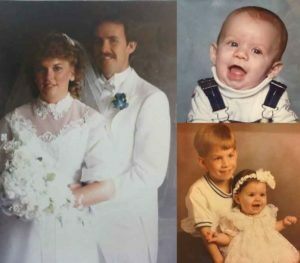 In the beginning… Seaton and Jill Smith were married in 1985. Forrest was born in 1988 and Alyssa was born in 1992. The Smiths were living the American dream for the first few years. Until 1990, when Forrest became very ill at just 2 years of age. Jill and Seaton took their sweet boy from doctor to doctor, and no one could give them a reason as to why he would fall asleep at the dinner table, want to be carried all the time and just didn’t behave like the typical 2-year-old. Finally, Jill was advised by a nursery caretaker that Forrest should be seen that day for his distended stomach. The Smiths were sent to Denver Children’s Hospital and after a week in and out of treatment, Forrest was diagnosed with celiac disease. Over the next 10 years, Jill and Seaton were both diagnosed with celiac disease, along with 15 members of their extended family, on both sides, being diagnosed with celiac disease or a gluten intolerance. The family slowly adjusted to the gluten free way of life, relearning what foods were ok to eat and what foods needed to be avoided. Back in the 90’s, the only way to find out information on celiac disease was by attending local and national support group meetings. 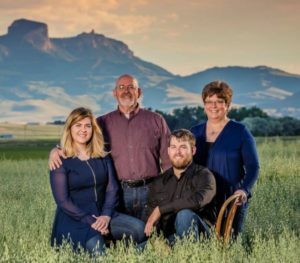 Fast forwarding a few years, the couple moved to Jill’s hometown of Powell, Wyoming where they decided to plant their roots and raise their family. The family was very active in the church, community, and local gluten free support group. Forrest was involved with FFA (Future Farmers of America). Little did they know that this participation in FFA would change their lives. 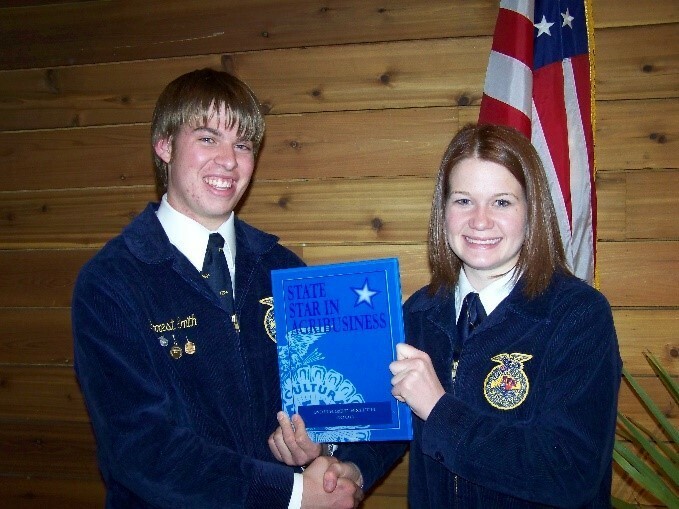 FFA gave Forrest an assignment while he was in high school to create an entrepreneur business. The assignment required a speech to be given on what the business would involve and a demonstration on how the company would accomplish this task. Forrest didn’t even have to think about what he wanted to do. He knew right away that he had always wanted one of his grandmother’s homemade oatmeal cookies. Because oats were known as one of the four grains that have gluten that people with celiac disease must avoid, Forrest was never able to eat oatmeal. Research was starting to come out of Europe finding oats as being gluten free but the cross contamination in the field and equipment that processed the oats made them too high in gluten to be tolerated. The actual oats were ok to eat if they were uncontaminated. For the FFA project, Forrest purchased a table top flaking mill. He found a source to supply a bag of groats. He spread the groats out on the kitchen table and picked through them very carefully, removing any seeds which contained gluten and would make him sick. After separating the groats from the gluten containing seeds, he put the clean groats into the mill and rolled the groats into flakes. He then had his first taste of homemade oatmeal. He learned when he didn’t get sick that it worked! To start out, Forrest sold the gluten free rolled oats to the local celiac support group and the following year he sold the gluten free rolled oats to support groups around the state of Wyoming. The FFA project was a tremendous success when Forrest earned the State Star in Agribusiness for his project. But, Forrest didn’t feel like he was done with this project. He felt like it could go so much farther. Seaton and Jill were on board. Even Alyssa was on board, being the only “gluten eater” in the family. The Smiths soon realized there were so many others who could benefit from having gluten free oats in their diet. They hired their first employee in 2006 once they found an oat mill that could process their raw oat seed. The internet became available to the general public at this time, and Forrest started shipping gluten free rolled oats after contracting a field of oats from a local farmer. In 2011, they were able to work with their town officials to apply for a grant from the State of Wyoming to build their own oat mill. 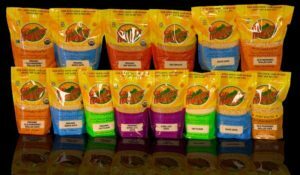 GF Harvest, originally known as Gluten Free Oats, was the first dedicated gluten free oat mill in the United States and is the only oat company in North America that is owned by people with celiac disease. They developed “purity protocol”. To this day, the Smiths personally walk each oat field that they allow in their mill. This creates traceability from planting to package. The Smiths have every combine and storage bin certified by the Wyoming Seed Certification Service prior to use. They personally test every truck load of raw oats before it enters the milling process. After the oats are processed, the products are tested for gluten again with re-verification by an independent lab. Making sure each bag of oats comes from their certified pedigree Non-GMO seed stock and is processed in their certified GF facility. 98.7% of all products test below 5 parts per million of gluten. Blending and averaging is not used at GF Harvest. GF Harvest now proudly carries the following certifications: SQF Level 3, Certified Gluten Free, Non-GMO, USDA Organic, and Kosher. Knowing how dedicated the Smith family company is to your safety, are you comfortable using anything less? Taste the difference. Their oats have a FRESH ROASTED FLAVOR that can only come from a steamed, shelf stable product. The other oat products that say they are gluten free should be contacted and asked if they use purity protocol. They should also be asked if they mix or blend their products to get the testing results they are looking for. Please call us with your questions at 307-754-7041, whether it’s about the company, product information or your GF diet. We would be happy to help you any way we can. We are not in the business of trying to capture the gluten free market. 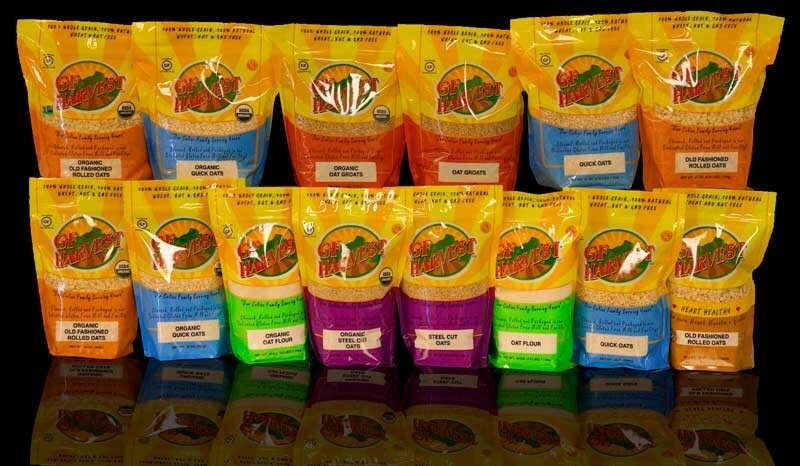 We are in the business of providing a superior product for people who need a “trusted” gluten free product. And you don’t have to be gluten free to enjoy our products either. GF Harvest is “Faithfully and Ferociously Gluten Free™”, Since 2003. GF Harvest is having an exclusive sale on their ever popular and extremely convenient GoPacks, which (like all their products) can be purchased on Amazon or the GF Harvest website. Enter code LIVEGF17 when you buy a 10-pack case and pay only $1.39 per pack through 11/15/17.